Later in the Heartwood Path we will describe the layers necessary to add depth to your character. Here, we are going to let you know how to grow without becoming lob-sided. ​To make sure you have balanced growth, we will employ the Heartwood Path Four Leaf Model of Integrity, based on the collected works of philosopher and author Ken Wilber (specifically his Four Quadrants) (Wilber, 1995, pp. 121-126). This map is vital to your successful spiritual maturity because it reminds you that there are four quadrant in which you need to grow if you are to be balanced in your development. People grow, develop, and evolve in each of these four arenas simultaneous, but not necessarily uniformly. Trying to organize any personal growth program that does not reflect each of these four areas of development is doomed to failure. That is because it will not be in line with the way the universe works. Again, the map in the form of a four-leaf clover will be useful to explain the terrain—the universe. The two leafs on the left are for discussing the inner world. The two on the right are for discussing the outer world. The two on the top are for discussing individual aspects of the universe—inner world individual aspects on the upper left (intensions) and outer world individual aspects on the upper right (individual behaviors). 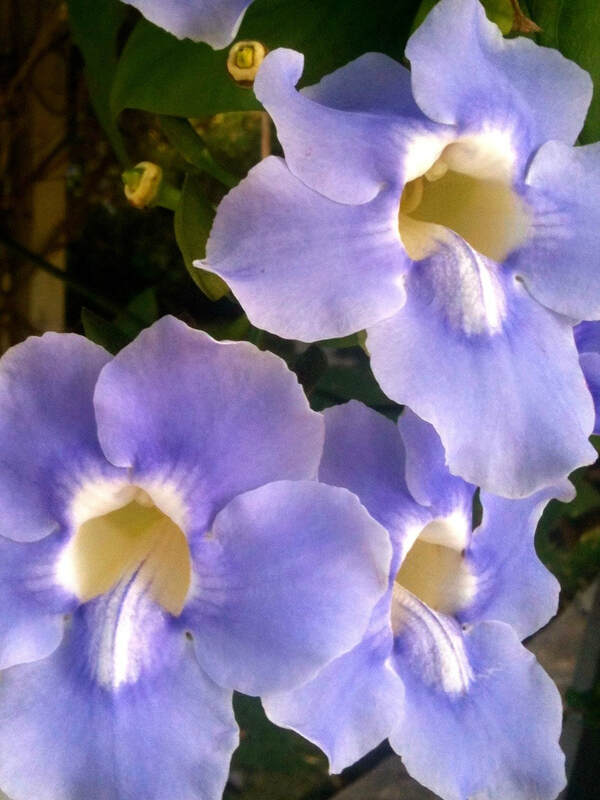 The lower two leafs are for discussing collective aspects of the universe—the lower left is for discussing the inner world of collective aspects (group ethics) and the lower right is for discussing outer world of collective aspects (group behavior). These “leaves”—these arenas of development—simply represent the “inside” and “outside” of the individual and collective aspects of the universe. Using this system, the upper left leaf is about intentions and lower left is about ethics. The upper right is about the “outside” of individuals, with individual behaviors being a dominant pertinent topic; and the lower right is about the “outside” of collectives, with nested physical systems and group behaviors being the dominant pertinent topics. 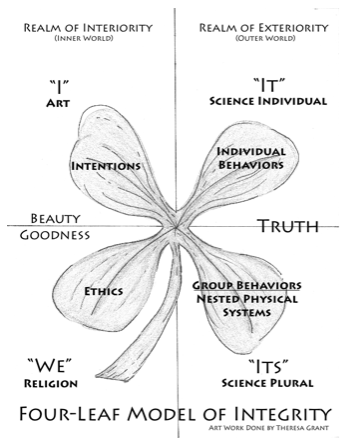 This symbolic model, with its four leafs, is a chart of one’s Greater Self. It is also a map of integrity (both in terms of wholeness and in terms of moral soundness). Once one understands both its design and its symbols, it will be the single most helpful tool for those charting their way down the Heartwood Path. Use it repeatedly to make sure you are developing the poise that comes with developmental counterbalance. The main point here is for you to be comprehensive in your efforts to be balanced and to grow in depth in all ways possible. An eartHeart’s most comprehensive way to look at reality is to take into account all four arenas of development—intentions, ethics, things, and behaviors. In reality, these aspects of the universe occur only collectively—together, or not at all. As an example of the usefulness of the Four Leaf Model of Integrity, I can think of no better application than how the model can foster better relationships. As you do the following activity, note where intentions, ethics, things and behaviors come into play. If you are confounded by this Model or seek special assistance I encourage you to reach a more comprehensive understanding by securing Guidance. be supportive and loyal in your relationships and hug them often. I have the intention to work to support myself and my family. That is an inner world goal that is reprinted by the upper left leaf on the Model of Integrity. My ethics, from the realm signified by the lower left leaf is to work in service to the disadvantaged. My behaviors, signified by the Upper right leaf, include driving to and from work, helping client become more independent. The lower right leaf signifies the physical systems used in the action; which for me include regulating agency, the easily washable clothes I wear, the plastic gloves, the computers, and the homes of the clients. ​The point here is to make sure, when assessing how well you are doing, is to not just make adjustments in one or two realms, but in all of the realms. That’s what is necessary for enduring, most-helpful compassion. Try such an assessment on something significant you are doing. Plan to make any adjustment, as needed. The Heartwood Path Four Leaf Model of Integrity is vital to your successful spiritual maturity because it reminds you that there are four quadrant in which you need to grow if you are to be balanced in your development: Beauty; Goodness; Truth in its singular/individual aspect; and Truth again in its plural social or environmental systems aspect. Apply the Model of Integrity to Improving Relationships by identifying or, if need be, developing at least three friends you can count on; making time to be with someone you care about; making at least five positive comments and engage in at least five positive actions for every one negative comment or action; taking delight in the good fortune of someone you care about; disclosing something about yourself to someone you feel close to, and being supportive and loyal in your relationships. 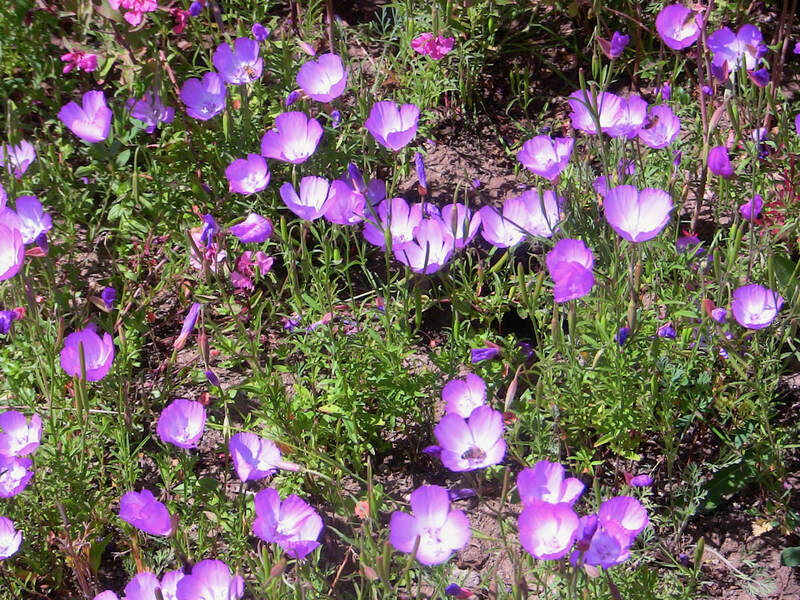 Strike a balance between Science, Morals, and Aesthetics by attuning your mind to Nature, by situating yourself conceptually and literally in Nature, and by giving blessings for the beauty of intentions––the ways that cause a fusing within you as your Inner Witness becomes undifferentiated from that which you witness—the rest of creation. Without building a personal growth program that takes Self, culture, and Nature into account, there is no integral, comprehensive, enduring positive change. Take into account all four arenas of development—intentions, ethics, things, and behaviors—plus the depth of body, mind, and spirit which occur only collectively—together, or not at all. Give yourself a chance to process today’s waypoint by sleeping and dreaming. Remember, during Dream Tending, you are not asked to figure anything out. “You are not using your rational mind at all. Rather you are open to your sense of discovery. . . You are curious about who is visiting now?” . . . (and) . . . “what is happening here?” (Aizenstat, 2009, p. 36). You have now completed 55 out of 117 waypoints in Kosmos.